The stage went up in flames in Barcelona, Spain. 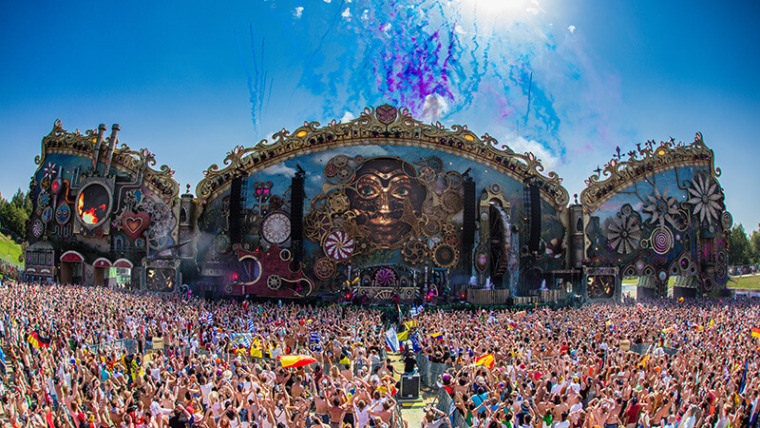 Thousands of people were forced to flee Tomorrowland UNITE, a one-day music festival event hosted in Barcelona, Spain, when the side of a stage burst into flames. According to the Evening Standard, the stage exploded and then started to burn down. There were around 22,000 attendees in the crowd at the Can Zam Park in Coloma de Gramenet. Independent claims that a pyrotechnic malfunction is responsible for the fire. Globo also came to this conclusion, stating that "the firemen's initial hypothesis is that there was an overheating of the material used in the construction of the stage during the presentation of a pyrotechnic spectacle." Tonight, July 29th 2017, the UNITE Barcelona stage caught fire due to a technical malfunction. Thanks to the professional intervention of the authorities all 22.000 visitors were evacuated safely and without reports of injuries. Authorities will follow up and continue the investigation with the local Spanish organizer of UNITE. So far, there have been no injuries reported in relation to fire. Mirror stated that only 25 percent of the stage was damaged. Take a look at footage of the fire in the recordings, below.